Starting in September, we're devoting our Thursdays to community events. Stop into Deep Vellum on any Thursday of the month and we'll have something going - from open mic to recorded music to book groups to wine walks. We're excited to see what you (and people like you) bring to share & experience. Bring your best - or whatever you're creating - and work it out on stage. Poetry, music, comedy, writing, anything goes! See you on the first Thursday every month! The infamous Deep Ellum Wine Walk is the third Thursday every month. Register via Facebook with Deep Ellum Events, LLC and join us (and 20+ other Deep Ellum retailers!) for an evening of fun, music, art, and fun in Deep Ellum. Grab those records and take 'em for a spin - we'll provide the turntable, you bring your favorites and best to play, sell, or trade. See you on the second Thursday every month! 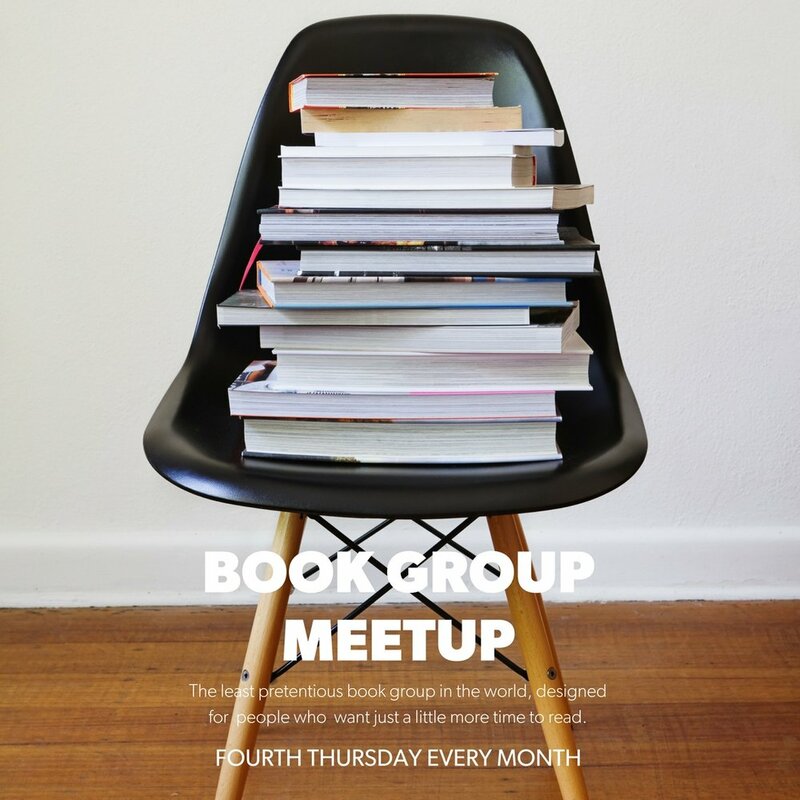 On the last Thursday of the month, Deep Vellum hosts a book group for those who have trouble finding time - or energy - to read. Half social experience, half literary euphoria, we're committed to exposing the best engaging literature we can find - without requiring too much time, effort, or energy.